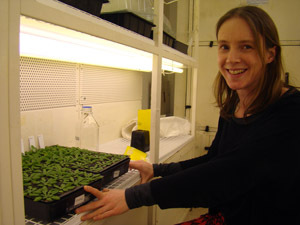 Dr Christine Faulkner, project leader at the John Innes Centre, talks about plasmodesmata, her career and the highs and lows of science. My research investigates how plant cells communicate with each other, especially when under attack from pathogens like bacteria, fungi or viruses. Channels called plasmodesmata connect plant cells to each other and they can open and close to allow molecules and information to flow between cells. I’m trying to determine what molecular information moves between cells during pathogen attack and how plasmodesmata open and close to make sure that the right message gets through. The best things are being able to investigate questions that nobody knows the answers to, especially when they relate to finding solutions to real and pressing problems such as pathogen infection and disease of food crops. I also love being able to travel and discuss ideas with scientists all over the world (India, Australia, Finland, Spain, Italy, Germany in the last 12 months!). The worst is when my experiment isn’t working and I can’t understand why, solutions are rarely obvious and can be hard work to find (although immensely satisfying when you crack it!). 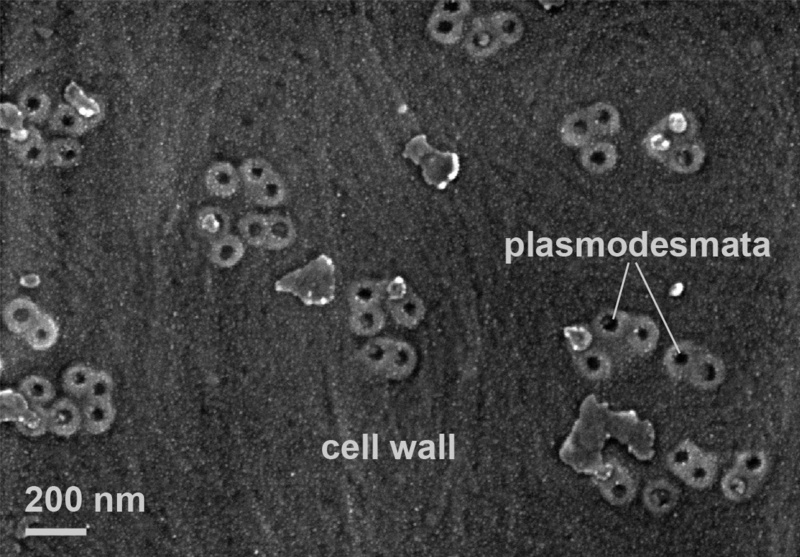 This is an electron micrograph showing plasmodesmata in a cell wall. 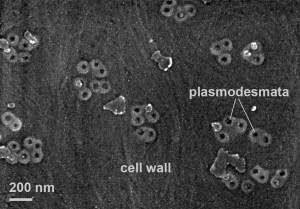 Plasmodesmata function as channels or tunnels from one cell into another. In this way they connect almost all plant cells. My grandfather and great-grandfather were horticulturists and so my family would say it’s in the genes. However, it also has quite a lot to do with my experience at university. When I was an undergraduate I was taught by Professor Robyn Overall. She used to get so excited about plant cells, and how much we don’t know about them, that she would almost jump out her seat! The excitement was infectious and I became curious. I did my PhD with Robyn and haven’t looked back! I have kept studying plants because I think understanding how they work is fundamentally important – there’s still so much we don’t know and we have to protect food crops to make sure everyone has enough to eat. If I’m honest I’m not sure my mind is ever very far from work. Some of my best ideas come when I’m out running or swimming. I love being outdoors (especially if there is a beach or a mountain nearby) and that gets me out of the lab at least! Follow your curiosity, it takes you to places you’ll enjoy. Viruses spread through plants via plasmodesmata. This movie shows a virus (green) spreading from an infected leaf to other parts of the plant. If we can understand how plasmodesmata close we can block the path of the virus and stop the infection.